Synergia Ranch has been operating as a Center for Innovation and Retreats since 1969. The ranch was purchased as a quarter section of the old Byrne Ranch that was acquired in 1926 as part of the Homestead Act, the original Warranty Deed having been signed by Calvin Coolidge. The original ranch of 640 acres was operated as a dairy farm. It passed through the hands of a couple of owners and then was purchased by Charles Taylor who, in 1967, split the section into a 160 acre parcel with the 480 remaining acres being formed into what is now the Silver Hills Ranch Subdivision. Taylor used the existing original barn and building facilities as a quarter horse ranch. Synergia Ranch was purchased from Taylor in 1969. Utilizing and transforming the considerable existing structures, the ranch as it stands today was built during the seventies. Since that time alterations have been made at the ranch to accommodate the needs of new guests and residents. Production facilities have been transformed into meeting facilities and offices. 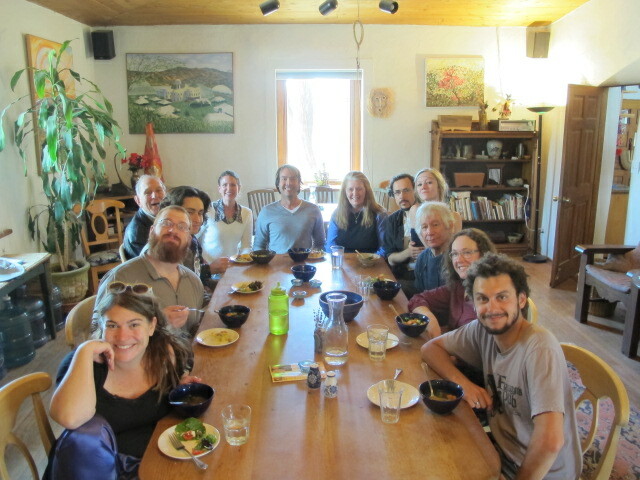 Today organizations and groups of all kinds use the ranch as a Retreat, Workshop, and Conference Center. The Theater of All Possibilities (TAP), began its long history at the ranch in 1969, and presented performances in the Dome during the 70’s and 80’s. TAP now headquarters at the October Gallery, London, UK. The Institute of Ecotechnics, now a UK non-profit organization, was also started at the ranch in 1969, working on the synergetic applications of technics and ecology. The ranch is home to individuals who were the original inventors, creators, designers and managers of the Biosphere 2 project in Oracle, Arizona, until 1994. 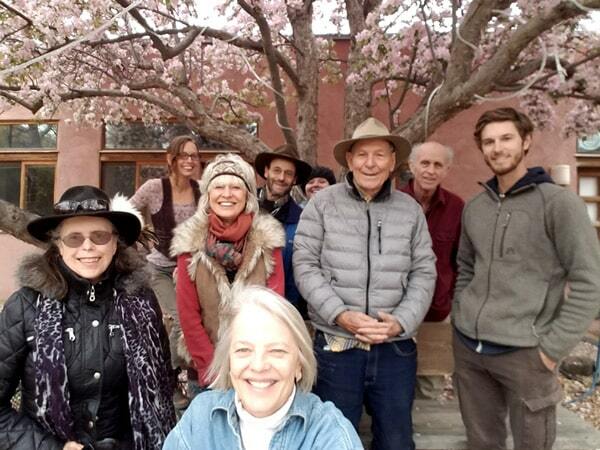 Today, these and other residents at the ranch collaborate in ecotechnic and artistic enterprises all over the world and locally, as well as continuing biospheric research and development. Synergia Ranch as a Center for Innovation provides the environment that supports creative individuals in the fields of ecology, biospherics, engineering, architecture, wastewater gardens, sustainable forestry, orchardry, book publishing, cuisine, fine arts, healing-arts, theater, writing, painting and poetry. See links page for more information. Reach out with any questions, we’d love to hear from you.